The Californian company American Bow Thruster - Arcturus Marine Systems, produces various systems for controlling and trimming super-yachts. Stabilising systems and manoeuvring propellers by American Bow Thruster are installed on board numerous important yachts, built by boatyards such as Alloy Yachts, Azimut, Baglietto, Hatteras Yacht and many others. As far as stabilising systems are concerned, the United States company proposes "Trac Digital Stablizers". This is a system rendered particularly effective by integrated control by an electronic gearcase, which is equipped with a high speed processor capable of speedy processing all the data obtained from the on board sensors. The system has been created to respond at the same speed, suffice to think that the gearcase manages to process up to 100 pieces of information a second. When leaving the port the system is simply switched on and it will then continually and efficiently trim the yacht without needing further intervention. Trac Digital Stabilizers bases its adjustments on speed, sea conditions and wave direction as well, naturally, as data on the boat's list detected by the sensors. The system's stabilising fins are easy to install and equipped with very strong electromechanical mechanisms, ensuring duration over time. The gearcase is equipped with a liquid crystal screen for viewing all the data detected by the sensors, including the status of the fins and system and any possible alarms calling for intervention. As mentioned at the start of the article, this Californian company also produces manoeuvring propellers, ranging from 7,5 to 200 HP and with diameters from 8" to 28". These systems can be coupled with hydraulic and d.c. or a.c. power motors. 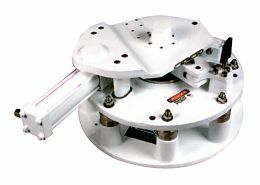 The technology developed by American Bow Thruster for the production of these navigational aids includes the use of two propellers rotating in opposite directions, offering 12% more impetus for the horsepower. 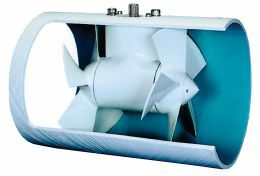 The propellers are fitted into a structure protecting them from wiring and other hazards, and are made of materials which ensure long duration. For further information please contact: American Bow Thruster - Arcturus Marine Systems; 517-A Martin ave. Rohnert Park; Ca. 94928; tel. 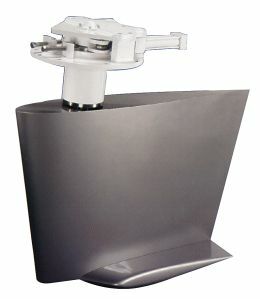 (800) 535 5377 - (707) 586 3155; fax: (707) 586 3159; website www.thrusters.com; e-mail abt@thrusters.com.